You should understand that a jury summons is a legal document. It is not an invitation which you may casually decline to accept. No person who is summoned as a juror shall fail to attend and serve as a juror without having been excused. Such person may be fined not less than $50 nor more than $500, imprisoned not less than 30 or more than 90 days, or both. have been convicted of a felony and have not had their civil rights restored. Pursuant to Ohio Revised Code Sections 2961.01 and 2967.16, a convicted felon's civil rights are automatically restored upon release from confinement. Are there any situations that will automatically exempt me from jury duty? Is it possible to postpone my jury duty service? A request to be excused should include as many details as possible, with applicable documentation. For instance, if you are traveling out of the jurisdiction, you might enclose a copy of your travel itinerary or plane tickets, including dates and places of travel. If you have a mental or physical condition that makes you incapable of performing jury service, provide a letter from your physician stating the reason why you are not mentally or physically capable of jury service. If you no longer reside within this court's jurisdiction, a photocopy of your driver's license showing your current address will satisfy the residency excuse. 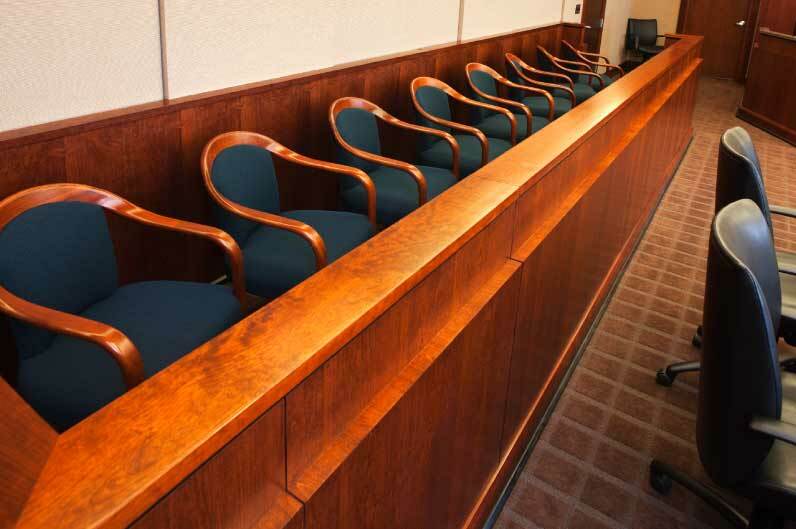 What types of security screening will I be subject to as a juror? To maintain proper security, all persons entering the courthouse (including courthouse employees) are subject to search and screening. Bags, cases, and parcels may be x-rayed and searched. If you are not selected to be seated as a juror for the trial, your service will be completed before lunchtime. A reasonable lunch break will be provided to those jurors seated on the jury panel. Breaks will be provided throughout the day at which time telephones will be available and use of cell phones is permitted. Coffee and bottled water, are provided to all jurors when they arrive for jury selection. There are two free public parking lots to the north and west of the building. What type of attire will I be expected to wear as a juror? The Perrysburg Municipal Court operates on a one trial/one day system for jurors. If the trial you were summoned to serve on should cancel before your scheduled report date, you may be asked to call back into the court one time to cover a second jury trial date. Compensation varies between counties. In the Perrysburg Municipal Court you will be paid $20 for a half day (until 12 noon), $40 for a whole day, and $60 if jurors are required to stay past 5:00 p.m. You will receive payment in the form of a check by mail approximately 30 days after you have reported to the court or served as a juror. You should receive your jury summons about three weeks prior to the actual date you have been summoned to serve. All jurors are to call a special phone number 419.872.7931 the afternoon before the scheduled trial date. When you call this number you will hear a recorded announcement advising you of the trial status. You may call the court at 419.872.7952 during regular business hours (8:00 a.m. to 4:30 p.m.) if you have additional questions or want to speak to a court employee. When you arrive at the court, you will pass through security and be directed upstairs to a jury waiting area. Coffee and bottled water will be available while you fill out a prospective juror questionnaire providing general background information about yourself to help speed along the jury selection process. All prospective jurors take an oath that they will answer truthfully to questions posed to them by the judge and the attorneys during the selection process. The purpose of the questions is to find out if there is some reason why it might be difficult for you to be fair and impartial in the case to be tried. You will be told a little bit about the facts of the case, so the court can determine if any past experience or prejudice might make it hard for you to be fair. You also have an opportunity to tell the court about anything else that might impact your ability to sit as a juror including health problems, employment situations, and other obligations in your life. It will take approximately two hours to question and select eight jurors and an alternate. If you are not selected as a juror, your service is complete and you may leave. There are two basic types of cases heard by a jury in the Perrysburg Municipal Court: criminal and civil. A criminal case results when a person is accused of committing a crime. You, as a juror, must decide whether the person charged is guilty or not guilty. The accused person is presumed innocent, and the city or state, represented by a prosecutor, must prove guilt beyond a reasonable doubt. The person charged with the crime is called the defendant, the plaintiff in a criminal case is known as the State of Ohio. In a criminal case all eight jurors must agree upon the same verdict. You were selected at random from a computer-generated list of registered Wood County voters. To be eligible to serve as a juror you must be a resident of the court's jurisdiction covering the following geographic area: the cities of Perrysburg, Rossford, and Northwood; the townships of Perrysburg, Lake, and Troy; and the villages of Luckey, Millbury, and Walbridge. Some people would volunteer for jury service if you'd let them. Why don't you? The Perrysburg Municipal Court adheres to the random selection process set out in the law. Because it is random, some people who are willing to serve may never be asked, and others who do not wish to serve may be asked frequently.